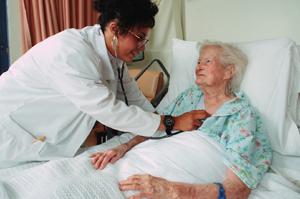 Individuals need long-term care when a chronic condition, trauma, or illness limits their ability to carry out basic self-care tasks, called activities of daily living (ADLs), such as bathing, dressing, or eating, or instrumental activities of daily living (IADLs), such as household chores, meal preparation, or managing money. Long- term care often involves the most intimate aspects of people’s lives. Ask yourself this question: who will assist me to maintain a worthwhile standard of life should I become incapacitated -- my spouse, my children, someone else? Traditional health insurance does not pay for long-term care at all. Medicare provides limited coverage for 100 days. As advances in medicine allow us to live longer, many Statland & Katz clients have purchased long-term care insurance. Home-based or facility based assistance with bathing, dressing, cleaning, meal preparation, taking medications, and mobility. Cognitive impairment care for Alzheimer’s patients. Statland & Katz can work with you to assure that you, and your employees, can make the most of their retirement years even if chronic illness and age-related disabilities threaten to make those years less golden. Both companies and individuals have the opportunity to pay for long-term care insurance with pre-tax dollars, and purchasing individual or group long term care insurance through your business affords you and your employees significant discounts, and savings of up to 30% of premium. Additionally, Maryland taxpayers receive a $500 tax credit for the tax year in which a long term care policy is purchased. Virginians receive a $1,000 annual tax credit. Call Statland and Katz for your no charge third party CD explaining the benefits of pong-term care insurance.